Winter in Wisconsin means long frigid nights and short cold days. Your fireplace works all winter long to keep your Oconomowoc home warm. Heavy use of a fireplace takes a toll on your chimney by leaving a substantial layer of soot and creosote on the inside. This layer of creosote is a severe fire hazard. Under the right conditions, the creosote buildup could ignite, leading to an uncontrolled fire inside your chimney which could spread to the rest of your house. Contact the Wisconsin Chimney Technicians Oconomowoc chimney cleaners to keep your chimney safe and running smoothly. The experts at Wisconsin Chimney Technicians know Oconomowoc chimneys need an annual cleaning to ensure safe operation during periods of extended use. 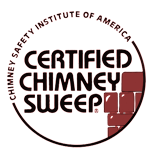 Our CSIA certified chimney sweeps provide friendly and efficient cleaning services to our Oconomowoc customers. Keep your chimney running safely with an annual cleaning from Wisconsin Chimney Technicians. For more, view our Milwaukee fireplace and chimney safety tips news article. 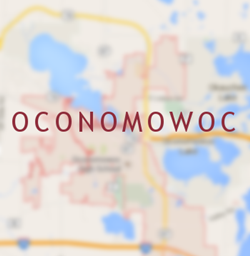 Read Oconomowoc chimney service reviews! If your chimney is broken, cracked, or chipped, call Wisconsin Chimney Technicians’ Oconomowoc chimney repair technicians today. We have over 30 years of experience repairing Oconomowoc chimneys to better than new condition. Whether you have a few minor defects in need of attention, or your entire chimney needs to be replaced, the courteous and knowledgeable staff at Wisconsin Chimney Technicians can handle all your chimney repair needs. Don’t let minor defects become big problems by procrastinating. Call Wisconsin Chimney Technicians today to get your chimney in tip top shape. Poorly maintained chimneys can be a hazard to Oconomowoc homeowners. Cracked tiles and masonry on your chimney interior can lead to smoke and harmful gases venting into your home. There are two options to fix this problem: either tear down the entire chimney and rebuild or have Wisconsin Chimney Technicians team of Oconomowoc chimney experts install a stainless steel chimney liner. This liner goes between the flue and walls, creating a clear path for smoke, soot, and creosote to vent safely from your fireplace. Installed by our experienced and friendly staff, our chimney liners carry a lifetime warranty. Call Wisconsin Chimney Technicians today for cost effective chimney relining. Moisture poses a tremendous threat to homeowners and their chimneys. Wisconsin seasons bring rapid changes in temperature and plenty of moisture in the form of snow, sleet, and rain. If the mortar between your chimney blocks can’t withstand the barrage of weather Wisconsin brings, moisture can get in the cracks and cause major damage and expense. Tuckpointing is a common service for Oconomowoc chimneys and the experts at Wisconsin Chimney Technicians have the experience and expertise to handle all your tuckpointing needs. By packing new mortar in the spaces between your chimney bricks, tuckpointing ensures your chimney will stand up to Wisconsin weather. Maintain your chimneys aesthetic beauty and structural integrity by not delaying to contact the Oconomowoc chimney mortar repair. Wisconsin Chimney Technicians is the leading chimney service and repair company in Oconomowoc, but our expertise doesn’t stop at chimneys. Clogged dryer vents are a common and often overlooked problem in Oconomowoc homes. Your dryer’s lint filter doesn’t capture all the lint in your laundry. The lint which gets past the filter lodges in your dryer vent, slowing down laundry and posing a fire hazard to your home. Lint clogs slow your dryer down, increasing your electric bill and causing premature wear on your dryer. Clogged dryer vents can start on fire, possibly spreading to the rest of your home and endangering your family. Don’t waste money on unduly high electric bills or let a potential fire hazard in your home go unrepaired. Let the Wisconsin Chimney Technicians Oconomowoc dryer vent cleaning experts clean your vents, keeping your home safe and your laundry dry. 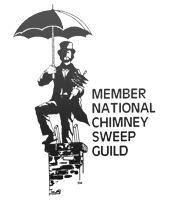 Contact the Oconomowoc chimney sweeps at Wisconsin Chimney Technicians for repair, rebuilding, cleaning and inspection services today!